There has been some pretty significant movement among catchers this off-season, some for the better; some for the worse. There are also some real wildcard catchers who, after last year’s campaign, left us scratching our heads wondering if they can either do it again or if they can return to their top form. JT Realmuto is #1, but Gary Sanchez could change that if he straightens out his act on defense (and, therefore, stays in the lineup). 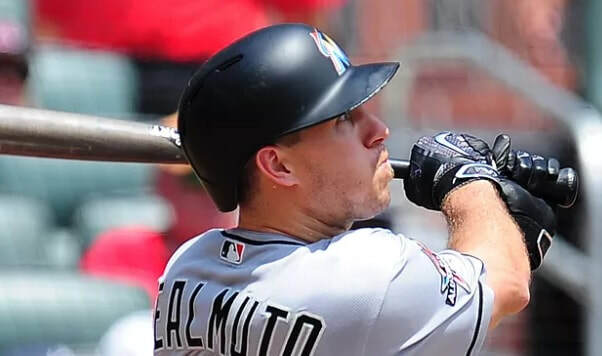 Tucker Barnhart is ranked int he top 25, but if Realmuto gets traded to the Reds, he'll drop to the "useless in fantasy baseball" rankings. Buster Posey is a HUGE question mark. Is it his health? Is it the lineup around him? He has to hit 15+ home runs, doesn't he? ​Yasmani Grandal was treated pretty poorly by the Dodgers last season, to be honest. The dude had to prove over and over that he was a better option than Austin Barnes, which he did… then he has one nightmare game in the playoffs; next thing you know, Grandal is a Brewer. In the words of the great William Shatner in Airplane II, “Irony can be pretty ironic sometimes.” Anyway, Grandal is the type of guy who wants revenge, but in a quiet, “I told you so,” kinda way. While his stats won’t be significantly better than last year, at least he can just go about playing catcher without the worry of always having to prove himself. If anything, look for his RBI totals to pick up into the 70-80 range in a more-consistent lineup in Milwaukee. Yadier Molina hit 20 home runs last season and 18 the season before. We would normally say that’s a pattern and not a fluke, but Yadi’s also 36 years old. The good news is that his defense isn’t lacking because he’ss settled into a nice routine of time on and time off. Expect him to play about 130 games, again, and hit 12-18 home runs. He’ll still drive in a decent amount of RBI, too, since he’s in what may be the best lineup in the NL. It’s a lot more fun to come to the ball park as a 36-year-old catcher when you have a bunch of power-hitting beasts around you with the potential to win 100 games. ​Robinson Chirinos has caught our eye now that he’s landed with the Houston Astros (speaking of potent lineups). Evan Gattis is a free agent; Martin Maldonado is a free agent (and is all glove, no bat); Brian McCann went back to Atlanta (to be a backup to Tyler Flowers) so that leaves Chirinos to be the guy behind the plate in Houston. Chirinos is a .233 hitter so far in his career, so if he can keep that modest batting average right there, he should still end up around 20 HR and 60-70 RBI. For the sake of perspective, he hit 18 HR with 65 RBI and 48 runs in just 113 games last season with the Rangers. He’s staying in familiar territory in Texas, but he’s moving over to play with the cool kids in Houston, now. Chirinos’ only downside is that he’11 be 35 years old this season and he’s never played a full season, before (his 113 games last season was an inexplicable career-high). That short porch in left is going to be his friend, so if you’re lucky, Chirinos could end up with 25+ HR and 80 RBI… yes, even if he still only hits .230-ish. Gary Sanchez's performance in 2018 was disastrous, especially compared to expectations. ​Buster Posey has been the consensus top catcher pick in most leagues over the past few seasons, but he really stunk up the joint last season. Some fantasy baseball analysts want to blame the weak lineup around him, but he’s been in the middle of that for a while… of course the injury-plagued season played a significant role, but now we wonder if he can return to form and at least hit double-digit home runs. Posey still hit .284 with 41 RBI in just 105 games, and he did that with just 5 home runs. That shows he’s still clutch, but we’ll need to see more power numbers this year. For now, he’s ranked at #6, but on draft day, keep in mind that he could end up as the #1 catcher again by the end of the season. ​Gary Sanchez is another guy who just killed fantasy owners last year. He only played in 90 games and he hit a disgustingly-low .190. Seriously, dude… then he starts letting fastballs shoot by him to the backstop on defense, so he ends up riding some pine to take more at bats away, too. 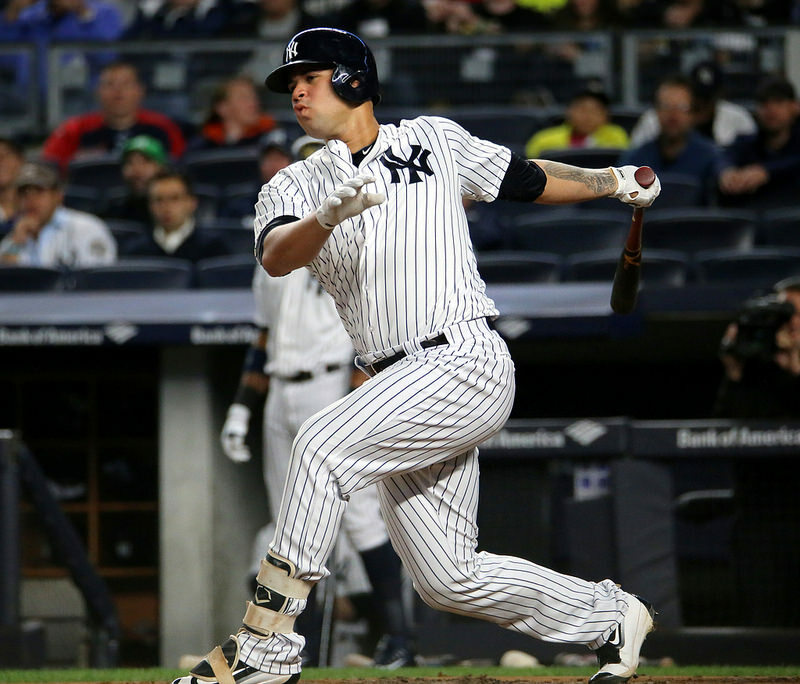 Even worse, his backup, Austin Romine, played great defense and hit pretty well while taking Sanchez’s playing time. Sanchez is still the guy behind the plate for the Yankees, and he’s still in a crazy-potent lineup. Look for Sanchez to rebound in 2019, but watch him in spring training. If his defense is still dicey, have a solid backup plan. ​Salvador Perez literally duplicated his power numbers last year – two straight years of 27 HR and 80 RBI on the dot – but his batting average dropped significantly to .235 (from .268 in 2017). Apparently, we can count on Salvador Perez to hit 27 HR and RBI every season, but he’d better figure out how to take a pitch. Another stat he duplicated last year was 129 games played and just 17 walks. And get this: despite playing exactly 129 games in both ’17 and ’18, Perez actually had 45 more plate appearances last season. Too bad all those extra ABs did nothing positive for him. This tells us that the league has caught up with Salvador Perez and that worries us. Watch Perez in spring training: if he tears it up, that means he fixed something in the off-season, but we’ll believe it when we see it. ​Tucker Barnhart is among the catchers who will be drafted when all the “good” catchers are gone. He’ll do just enough to not kill you, but if you end up drafting him, you’ll spend all season long looking for a lucky, waiver-wire replacement for him. Barnhart is the type of guy who will always put something positive in the box score, but it’ll rarely be a week-winner for you. And don’t look now, but the Reds may be a pretty good offensive team this year. With more runners on base, Barnhart’s consistency – rather, his consistently-average tendencies – could lead to more good pitches to hit and more guys on base to drive in. Look for the same numbers as last year with only the potential to be better. He’ll max out at 15 HR, 55 RBI and 55 runs scored – don’t bet on it, but it’s certainly possible. ​What’s the deal with Russell Martin being back in LA? Earlier, we talked about Yasmani Grandal having to deal with Austin Barnes, and now the aging Martin Russell will have to, too. Martin has been a .225 hitter over the past 4 years and he’s quite injury prone. Being 36 years old won’t help either, and there’s no room for him to play anywhere else on the diamond in Los Angeles. Nonetheless, Martin is a proven run producer, even when his batting average is crap. He has averaged 16.5 HR and 50+ RBI over the past 4 seasons, although he’s missed more than 70 games in each of the last 2 seasons. He’s another catcher you can count on to produce pretty well while he’s healthy, but you’d better get ready to pick up another Catcher… perhaps Austin Barnes. ​If you want a catcher who is totally predictable, draft Yan Gomes. He won’t wow you, ever, but you’ll get exactly what you pay for, so to speak (or, I guess, in an auction draft). He’ll score 40 runs, he’ll hit 15 HR, he’ll drive in 50 RBI, he’ll hit .240-.260 and he’ll miss at least 30 games. He’s 31 years old, he strikes out about 5 times more than he walks, and he’s still in an awesome lineup (now with the Nationals instead of the Indians). He can’t DH anymore, but that’s not a significant issue for him, either. Expect nothing flashy and be happy. ​We think that Willson Contreras will have a bounce-back season for fantasy owners in 2019. The Cubs’ lineup is just too good for him to not drive in more runs and get more good pitches to hit. He’s also at that magical age of 27 years old when players tend to really break out. Considering his “down” year was hitting .249 with 50 runs, 10 HR and 54 RBI, we could see him really dance in 2019 with 20-25 HR, 80 RBI and 70 runs. Remember, he hit 21 HR with 74 RBI and 50 runs scored in just 117 games in 2017, so the potential is definitely there. ​The other Wilson is the one with one “L” in his name: Wilson Ramos. Wilson Ramos joins the Mets in 2019 along with a bunch of other free agents. Ramos has always been in potent lineups throughout his career so he is able to capitalize on good opportunities pretty frequently. This year will be no different: we expect him to hit about .275 with 15 HR, 50-60 RBI and 40 runs for the Mets. ​Austin Hedges showed up like a beast in 2017, shocking fantasy owners with his 18 HR and 55 RBI as a rookie. Prior to the 2018 season, fantasy know-it-alls wanted you to bet the farm on his continued success; we, on the other hand, warned you to not expect the same type of success. When we see a guy with 23 walks to 122 strikeouts in 120 games, we see a guy with too many holes in his swing that (good) pitchers will capitalize on. Until we see Hedges walk more and drop his strikeout rate down to less than one per game, we’re not going to rank him any higher. Still, though, you can expect him to hit 15 HR with 40-50 RBI, but a guy with his talent should be doing more. We just don’t see him improving significantly, yet. ​Welington Castillo is the next guy that gets mixed up with the two Wil(l)sons listed above. Honestly, he’s pretty interchangeable with Contreras and Castillo in that we expect him to put up numbers close to Wilson Ramos, but he has the potential to put up numbers like WIllson Contreras’ potential numbers. If the Chicago White Sox can get their act together this season, Welington Castillo stands a good chance of having a break-out year. The White Sox are full of potential, but there’s no proof that they can finally put it all together just yet Lots of unproven, inconsistent youth, but it could happen. Expect .260, 40 runs, 10-15 HR and 40-45 RBI from Castillo in 2019, but he could eclipse those numbers if everything goes right for the White Sox. ​Honestly, most of the rest of these guys are roster fillers, but there are a few who we think could have a surprisingly successful season for your fantasy team in 2019. ​Chris Iannetta is a guy who gets drafted and dropped every season. This year, however, he’s expected to be the guy in Colorado. Tony Wolters’ .170 batting average was just too much for the Rockies to gamble on again, therefore Chris Iannetta gets to show his power in Colorado. Expect Iannetta to hit 12-15 HR, but also expect him to play less than 120 games (he has never played more than 115 games in a season in his entire career). How that might help you: that means that Chris Ianneta is actually more productive per game than most catchers, so while he’s in your lineup, he gives you a better chance at winning. You’re gong to need a backup for him when he hits the DL, but while he’s heathy, he could be the best sleeper in the league among fantasy Catchers. Imagine if you get lucky and get 130+ games out of him – I mean, don’t count on that, but you never know. Tyler Flowers is another one of those average, run-of-the-mill catchers who could just benefit and hit a late prime because of the lineup around him. The last time he spent a full season with a high-caliber lineup around him (2014 White Sox), Flowers hit .241 with 15 HR and 50 RBI in 127 games. That was when he was 28; he’s only 33 now, so he could definitely hit those same numbers with the Braves in 2019. Best of all, you can get Flowers in the late rounds or for $1 in an auction draft. Martin Maldonado could end up being a decent fantasy catcher. He’s going to get a good amount of playing time wherever he goes because he’s one of the best defensive catchers in baseball. Just by sheer volume of playing time, he could contribute decently to your offensive stats. Looking at him, though, he is not in the best shape, nor does he seem to mind being a bit “frumpy” – I guess you’d say. Clearly, he’s crazy athletic, though, so if he can concentrate on hitting a bit more, you could see Maldonado crack the 15 HR/50 RBI mark for catchers. We doubt he’ll get there this season, but he could make it happen. Jorge Alfaro is another catcher who can benefit from being in a good lineup. Like many players, he strikes out way more than he walks, but his power numbers make up some of that difference. Expect 12-15 HR and 40-60 RBI for Alfaro in Philadelphia. He’s also at the magical 16-year-old mark so if he’s going to exceed his peers at the catcher position, it’ll be within the next 2-3 years. If you’re in a keeper league, he may be worth a gamble. Francisco Cervelli has been a sleeper who has never panned out his entire career – then, suddenly, he hits 12 HR with 57 RBI last year at the age of 32, and he did it in just 104 games… with the mediocre Pirates. Maybe he finally just figured it all out or maybe he just got lucky in certain situations last year. Either way, we’re not buying that he suddenly figured it all out, but if you wanna draft him, go ahead. We still see him as probable roster filler at best, but we can’t deny last year’s numbers. Coupled with his significant experience, he could do it again. Nick Hundley is another guy to look for depending on where he lands as a free agent. When he’s in the game, he produces positively to every box score, it seems. If he lands a full-time gig as a catcher, he can really help your fantasy team, believe it or not. He’s hit 39 HR in the last 4 seasons combined, but he’s only played in an average of 96 games per season. Again, doing the math, that makes him a better catcher than most while he’s in the lineup. Look to see where Nick Hundley lands this off-season, then see if he’s expected to be the starter, there. If he is, draft him. If not, let him sit on the waiver wire and hope he cracks the starting lineup (then pick him up).